A new study says Subaru ranks as the worst-performing of all car manufacturers who are ready for the coming EV revolution. Subaru is rated the worst global automaker positioned to handle the soon-coming EV revolution. According to a new study in the UK by the CDP, Subaru Corporation is the worst performing carmaker on climate issues as the global auto manufacturing sector gears up for a period of incredible change. The new study, called Driving Disruption, analyzed 16 of the largest automakers, which collectively control more than 75 percent of the global passenger vehicle market. BMW, Daimler, Toyota, Nissan and Honda have been named the best performing carmakers on climate issues. Subaru ranks last on the global automobile manufacturers list followed by Fiat-Chrysler, Suzuki, Hyundai and GM as least positioned to handle the transition to building green vehicles. As auto manufacturers face increasing costs to comply with stricter emission regulations, the study says these will rise three-fold by 2025 to more than $2,200 per vehicle to outfit them with carbon dioxide caps. It’s coming to Europe first, where new emissions regulations take effect in 2021. U.S.automakers also need to meet the more aggressive California zero-emission vehicle quotas that take effect for the 2018 model year. Subaru needs to offer at least some vehicles that can operate in zero-emission mode some of the time. But Subaru is the smallest Japanese automaker, and doesn’t have the resources larger automakers like Toyota, Nissan and Honda have. Subaru Corporation is working on it, and they are developing another hybrid model set to be announced soon. The new plug-in hybrid will make its global debut later this year and it will not be a an all-new model, but will be built on an existing nameplate. Subaru has not released details on which model will get the new fuel-sipping technology, but it’s speculated the new hybrid will be the new 2018 Crosstrek. The multi-purposed model attracts the brand's youngest buyer, and millennials will be the most likely to buy this new fuel-saving vehicle. A new Subaru electric vehicle is also coming, but it won’t arrive until 2021 or 2022. Last year, we reported Subaru will join a new partnership in order to acquire the basic technology needed to develop a new Subaru EV. Subaru is fiercely independent, but they will join Toyota, Mazda and Denso to acquire the basic technology needed to develop a new Subaru EV. Even though CDP says Subaru ranks as the worst-performing of all car manufacturers who are ready for the coming EV revolution, new all-electric cars are coming from the small Japanese automaker. They will most likely use one of their current top-selling models like Outback, Forester or 2018 Crosstrek to use as the platform to produce their new EV. They could also choose the new 2019 Ascent 3-Row for the EV platform that will be built and sold in North America. This isn't a shock. 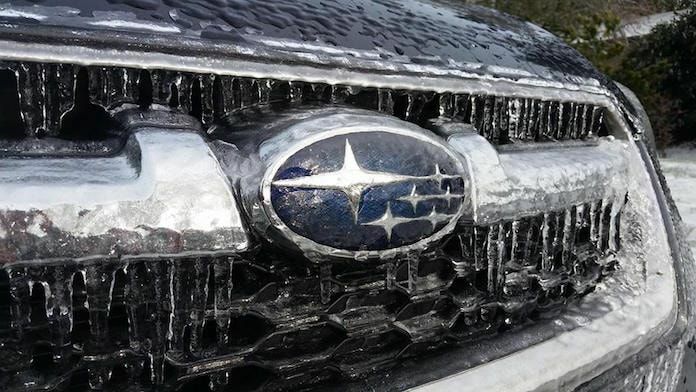 Subaru has always been behind the curve on this. The concern is how far behind and will they have the resources to catch up? A hybrid is a no-brainer and the fact that we probably won't see one from them until 2020 is disheartening. They don't even have start/stop technology yet. Subaru had a Hybrid for years, challenge is nobody bought it. Another problem is that the fuel economy wasnt much better then gas alternatives. Subaru owners do not want or need a hybrid vehicle which is why they will delay it until it become a requirement. I have sold Subaru's for 8 years and I can count on one hand how many Hybrid Crosstrek's I sold. On the other hand I can count how many people came in and said " Wow I wish you guys had a hybrid alternative." To your point, the gas mileage wasn’t any better. I’d buy a Subaru hybrid if that wasn’t the case. In addition, their cars are under-powered. The Forester XT was my choice in the end. Moving forward hopefully they will develop hybrid options and boost HP to a degree. Not many people bought the Crosstrek hybrid because it sucked! It had very little electric power, a very small battery and the engine was unchanged from the regular Crosstrek resulting in very little MPG improvement. If they had put an atkinson-cycle engine in it with a two electric+ motor true hybrid design, with no driveshaft going to the rear differential, it would have gotten much better efficiency, and more people would have bought it.